Technology Archives - jxeeno™ blog. The latest in technology, on jxeeno™ blog. You’ll find mostly content on the National Broadband Network, with a splash of other technology news too! 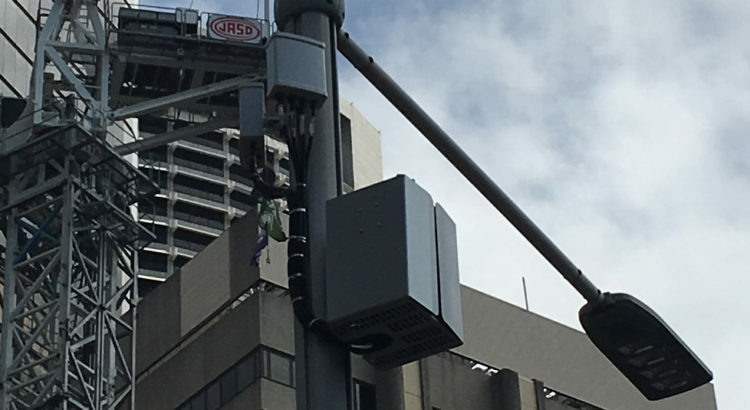 TPG has begun a test deployment of small cell 4G radios in metropolitan Sydney and Melbourne. Last month, the Australian Communications and Media Authority (ACMA) granted the telco a set of scientific licenses for testing. 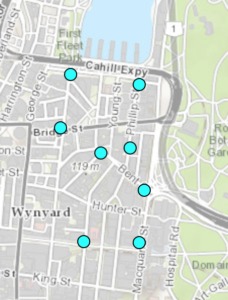 The Sydney test deployment includes sites at 8 locations between Circular Quay and Martin Place. TPG is mounting its equipment on existing power poles and street lights. 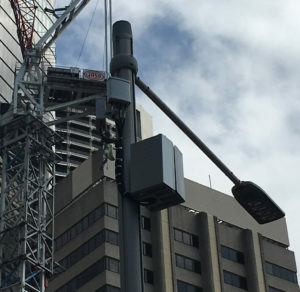 The picture below shows the deployment at Pitt St near Circular Quay, with radio equipment mounted on the side of the pole and two smaller antennas attached near the top. 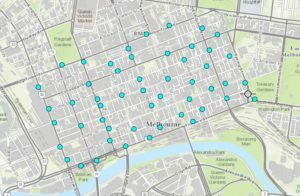 The Melbourne CBD deployment is much larger with around 80 sites in an area bounded by La Trobe St, Spring St, Flinders St and Spencer St.
TPG acquired two 10MHz blocks of 700MHz in the leftover digital dividend auction in April last year. The telco paid $1.26bn for the right to use the spectrum until the end of 2029. The temporary scientific assignments provided to TPG for testing are due to expire on 1st April 2018. The controversial Driver Qualification Test in NSW has now been scrapped, but old P2 drivers still have to sit it (or maybe not). The NSW Driver Qualification Test (DQT) has been controversial since its introduction in 2000. Questions from the knowledge section ranges from common sense questions like “what is a blindspot?” to questions on past statistics like “what’s the percentage of killing a pedestrian hitting them at 60km/h?”. There’s also a hazard perception section where you watch dashcam footage and tap the screen when you spot hazards or when you think it’s safe to proceed. Because the types of questions asked especially in the knowledge section, many people question its efficacy and see it merely as a revenue driver for RMS rather than a test that demonstrates driver safety. Starting 20th November 2017, the test was scrapped as part of an overhauled Graduted Licensing Scheme. New P2 drivers no longer have to sit the test to move to a full license, however, drivers holding a P2 license issued prior to 20th November still have to sit the test. It turns out there’s a way around it. All you need to do is renew your P2 license first. P2 licenses obtained prior to 20th November 2017 are valid for 30 months (and not the 36 months stated on the RMS website currently). You are eligible for license renewal 6 months prior to license expiry, meaning that you can renew your license once you’ve passed 24 months since you obtained your P2 license. 24 months is also the requirement for holding a P2 license before being able to move to an unrestricted full license. The lady who served me at my local Service NSW was well aware of this quirk. I simply told her I wanted to renew my P2 and move to my unrestricted license — and she was only too happy to process that request. This will set you back an extra $44 assuming you passed the DQT the first time — but there’s a non-zero chance you’ll fail the first time. Note: This does not apply for a replacement license. You must renew your license in order to be moved to the new Graduated Licensing Scheme. Why not just sit the test? It costs $45 each time you sit the test. As per above, since there is a non-zero chance that you may fail the test, you may prefer to pay an $89 renewal fee rather than risk at least $90 if you fail the first time. It’s up to you. Your time could be better spent than studying arguably pointless and outdated statistics about crashes, fatalities and injuries. Knowing that there’s a 70% chance (and not 80% chance) of killing a pedestrian when hitting them at 60km/h is probably not going to make you a better driver. That’s not to say all the knowledge questions asked are pointless — the Driver Qualification Handbook is still a good resource to read through. Rather than spending time practicing and doing another hazard perception test, you could spend your time watch some dashcam footage of actual accidents on YouTube. Consider what you’ll do if you were in the driver’s position. You’re probably more likely to be more cautious if you watch an actual accident occur rather than simulated scenarios. Your time could be better spent researching loopholes to avoid a now-defunct driver qualification test, as I have clearly done. Australia’s second largest telco, TPG, was granted a number of apparatus radio licence covering parts of the Bendigo area in Victoria. These new licences, issued on 21 March 2017 by the ACMA, are in addition to the spectrum licences owned by TPG to operate in the 1800 MHz and 2.5 GHz bands. Whilst apparatus licence are typically issued for one year, the TPG licences are only valid until late October this year — hinting at a short-term trial. The company responsible for building the National Broadband Network, nbn, has updated its Integrated Product Roadmap — revealing that it will be upgrading its HFC network termination device (NTD) to the DOCSIS 3.1 standard in the fourth quarter of 2016.
nbn is still yet to officially launch their HFC product, which is still scheduled to launch in June 2016. Last month, the company revealed at a Senate Committee hearing that they still have not signed construction contracts for the HFC rollout and the initial launch will be limited to a pilot area in Redcliffe, Queensland. 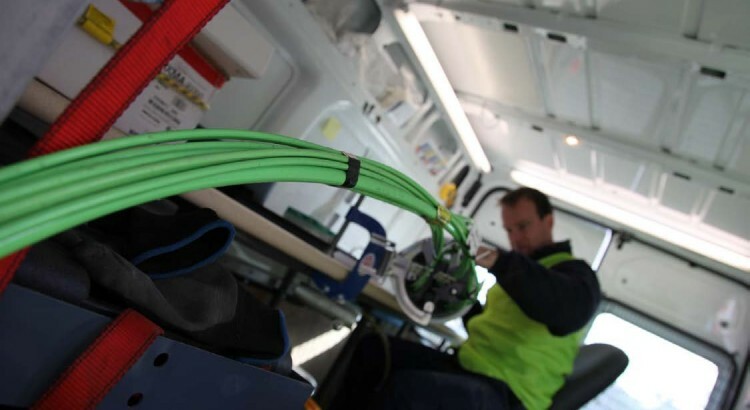 Initially, nbn will utilise DOCSIS 3.0 technology to deliver services to end users. Since HFC is a shared medium, traditionally, cable networks have heavy congestion and severely reduced speed during peak hours. DOCSIS 3.1 promises to increase capacity through increased spectral efficiency, thus easing congestion. NBN will also be consulting with its service providers over “a mobility solution” which will include “a wide range of applications” including in-flight Wi-Fi connectivity, emergency services and health and education. This consultation comes as Qantas announced it will team up with ViaSat to trial in-flight Wi-Fi services by utilising the NBN satellites on select domestic flights. Detailed analysis of the proposal conducted by jxeeno blog found it would likely have minimal impact to existing satellite congestion due to the short periods of time a plane flies over a particular NBN spot beam. Separately, nbn will also be consulting on the delivery of enterprise services over its satellites. While the roadmap provides no further detail on this consultation — at the last Senate Committee hearing, company executives had alluded potential use of NBN satellites in the defense department or other enterprise applications. Initially slated for launch in the first quarter of 2016, nbn has delayed the launch of the NBN cell access service (mobile backhaul over the NBN) and its inclusion of TV signals over fibre in new developments till May this year. Lightning Broadband: what is this shenanigans? Is this supposedly magical wireless technology really going to supersede the NBN? Over the recent weeks, a company branded as “Lightning Broadband” has been making waves in Australia. It’s claiming that for $120 per month, it can deliver an unlimited 100 Mbps connection to residents using its wireless network. But exactly how does the company plan to build its wireless network? If you read the “technical explanation” on its website, you’ll realise that it doesn’t make sense. The company is claiming that it uses fibre to connect to their DC. It then says DC, in that case, means a DC-HSDPA (effectively 3G technology). In the following paragraphs, it then goes on to explain that it doesn’t use HSDPA — but rather 24GHz microwave backhaul links followed by 802.11ac over the 5.8GHz band for the final hop to the customer. However, if you read between the lines and interpret DC as its usual meaning of a data centre, it makes more sense. The company is effectively using the fixed 5.8 GHz band to transmit a Wi-Fi signal to the end user. This removes the need for hefty mobile spectrum licences that typical carriers like Telstra, Optus and Vodafone pay to secure their spectrum slice. How much bandwidth does that give? In Australia, the majority of the 5 GHz band can either only be used indoors or is subject DFS (Dynamic Frequency Selection) as this band has potential to interfere with radar signals. The 5.8 GHz slice (5745-5825 MHz) is the only band that doesn’t have these limitations and is what Lightning Broadband is claiming to use. This effectively gives a single 80 MHz continuous band for the last mile transmission. The leading data rates and speeds of the 802.11ac standard (256-QAM, MCS 9, Guard Interval of 800ms) gives a maximum theoretical throughput of 390 Mbps. As for real world performance? One of the leading “point-to-point” Wi-Fi hardware providers, Ubiquiti, claims its NanoStation M5 (5.8GHz) Wireless Bridge & WiFi AP can deliver 150 Mbps. With a beamwidth of anywhere between 42 and 60 degrees, you’ll have to share the same 150 Mbps bandwidth with everyone on the same sector as you. Not exactly lightning speed as soon as you have a dozen or so people on the network during peak times — especially when you’re selling an “unlimited” plan. Lightning Broadband has nothing to worry for now. It’s not intended to be a mass-market product, with large number of customers. The spectrum bandwidth simply won’t support it (because, physics). But kudos to them for the concept and to help consumers get connected while the NBN is still rolling out. At the end of the day, it can only exist in very specific areas — outer metro areas with a tall building with a willing management who will let you install your equipment on the roof. But as soon as you have some other company else do exactly the same thing in your area, you’re screwed. This type of technology has been used for years by regional and rural folks to relay mobile broadband from a shed to get a decent mobile signal. So no, this is not going to make the NBN redundant. But it’s a good interim solution to help a small number of users get connected while it’s still being rolled out. 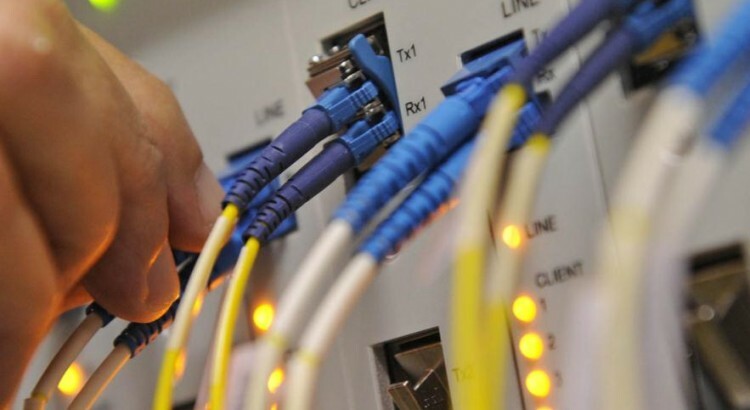 The Department of Communications has updated its registrar of telecommunication providers in new developments, revealing around 420 new developments have been rolled out using copper technology by Telstra. Last year, the Government reformed its policy surrounding the rollout of fixed line communications in new developments — opening competition for other infrastructure providers from the likes of Telstra or Opticomm to provide new infrastructure while nbn remains the provider of last resort for developments with 100 premises or more. The change in policy also removes the requirement for fibre to be used as the primary technology in these new developments. Telstra has not revealed whether the ~420 new developments are using FTTN-like technology, or simply being connected the existing exchange. The company has also neglected to provide premises count in the dataset provided by data.gov.au. It should be noted that Telstra is the provider of last resort for developments with less than 100 premises. The registrar on data.gov.au also lists a number of additional service providers including Comverge, Frontier Networks, LBN Co, Optic Networks, Pivit, Real World Networks and RedTrain Networks. However, there are currently no developments listed as being serviced by those providers. edit: Delimiter has received a response from Telstra regarding these new copper areas. You can read their response here. A Telstra fibre that services the Dubbo exchange has been cut over the weekend, causing network disruptions to service providers who use on Telstra Wholesale as their backhaul service provider in Dubbo. According to iiNet’s service status page, the break was first reported on Saturday evening and as of Sunday night, has yet to be resolved. For iiNet and Internode customers, the service disruption affects both customers with ADSL or NBN services. The latest estimated time to restoration on the fibre repair provided by Telstra Wholesale is reportedly Tuesday morning. NBN services provided by affected ISPs are likely to be affected by the outage. Telstra retail services, which use a redundant fibre path, are not affected. Commuters travelling more than 10 journeys per week will pay on average $255 more per year. 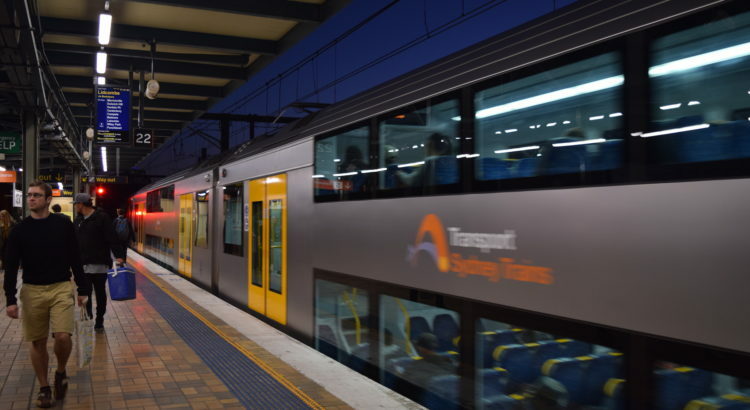 In a classic pre-Christmas news dump, the Independent Pricing and Regulatory Tribunal (IPART) released its draft report into the review of public transport fares in Sydney and surrounds. The review’s aims were clear — to remove the penalty commuters currently endure when switching between different modes of transport. In doing so, the revenue will decline and to plug this revenue hole — a raft of changes about fare caps and rewards have been introduced. After reading the “thrilling” 106 page report, what becomes immediately apparent after reading the report is that it’s not easy for your average Joe to compare fares and see how it may affect them. So, knowing me, you’d probably guess that I’d build some fandangled app to do it… and I did: opalcompared.com. Probably summed up perfectly in this chart below, the more journeys you take on a weekly basis — the higher the average fare increase. The less journeys you take, the more you save. The point where the average crosses over is at exactly the 10 journey mark. Commuters who travel more than 10 journeys per week will on average pay $4.90 more per week (or $254.80 per year — if you budget on an annual basis). Those who travel less will likely pocket a healthy discount of $3.49 per week on average. This baffles me. 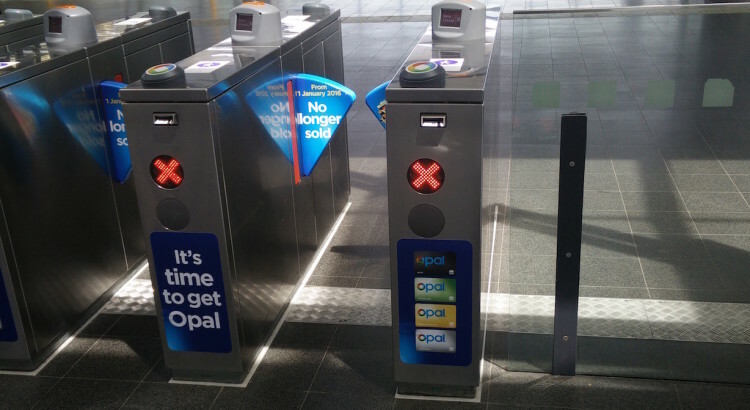 The proposed Opal fares seem counter-intuitive since the proposed fare changes will disincentivise people from using public transport. It simply doesn’t make sense to reward those commuters who contribute the least to revenue. Shouldn’t IPART be looking on setting fare structures that reward those commuters who travel the most, encouraging more people to use more public transport thus increasing revenue?